Texas Poodle Rescue View other Poodles for adoption. 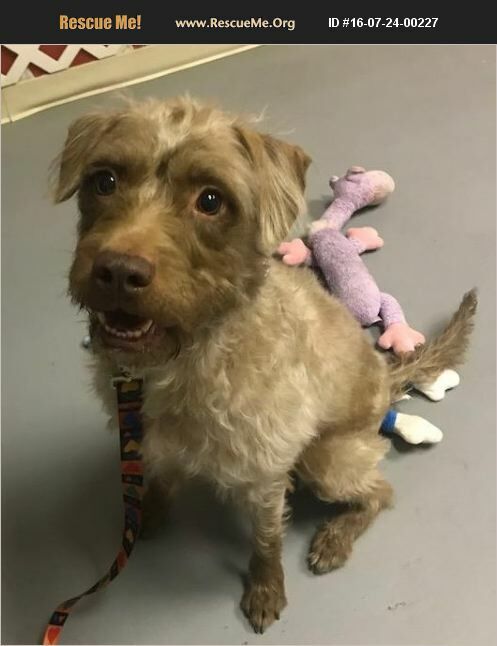 Sophie is a 2 year old labradoodle female who was rescued from the city shelter. She is spayed and fully vaccinated. Sophie had heartworms when she was first rescued, however, she has been treated and is ready for her furrever family. Sophie is a big ball of love and quite a velcro dog. Wherever you are...she will be right there with you. Sophie's a sucker for toys that squeak. Sophie needs a strong pack leader with positive dog training experience. An adoption application is available on our website: https://www.savapethouston.com. We require a completed adoption application prior to meeting the dogs. Please complete the application and send it to savapetwac@yahoo.com. If you have a question, please contact us at 713-385-2317. Our adoption fee for Sophie is $200.00.